Technical Park comes out Fighting! Technical Park, the Italian ride manufacturer, has unveiled two new variations of its Streetfighter ride. The Loop Fighter (pictured above) is a 16-seat travelling ride using the same flipping gondolas at the company’s Pegasus ride but adds them to a new swinging arm capable of turning through 360 degrees. The first unit is expected to debut at the April Fair in Seville, Spain. 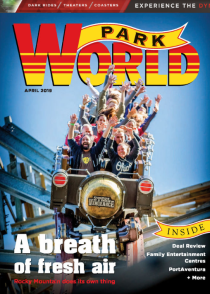 The Streetfighter Revolution also turns through 360 degrees, adding a new level of excitement to this Frisbee-style attraction, which previously swung inside a 240-degree arc. The first version will travel in Austria under the Rüdiger banner. A Typhoon, the park version of the Streetfighter, has been sold to an undisclosed client. 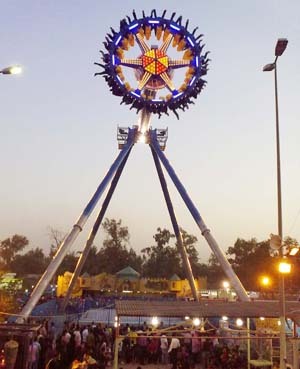 Deliveries of the ride were made during the last 12 months to Cavallino Matto park in Tuscany and Zawra Park in Baghdad (pictured below). 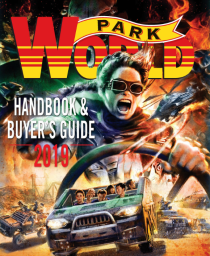 Also on the order books for Technical Park are Baby Aviator suspended coasters for Aqua Show park in Portugal and Linnanmäki in Helsinki, as well as a Happy Sky ride for Lotte World in Seoul.